News — J&M Industries Ltd.
2016-2017 Snow Removal....Commercial & Residential Contracts Available! 2016 Extreme Backyard Makeover Winner! Angela Gower! 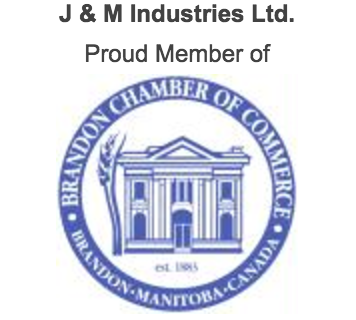 J&M Industries Ltd. was the proud sponsor of the High Point Jumper at the 2016 Wheat City Classic. Congratulations to Taryn Schrot and Wendy Dryburgh & horse Koda for your win! J&M is a proud sponsor of the 2016 Extreme Makeover Backyard Edition! Enter for your chance to win over Thirty Thousand Dollars worth of prizes for you and your backyard! Just enter at sponsor locations and listen to Star FM weekday mornings at 8:15 for your chance to call, you'll instantly win an Obermaiers gift card and qualify for the grand prize! Grand Prize Draw September 6th on the Morning Mess! Come visit us at the 2016 Home & Leisure Show! Extreme Makeover Backyard is Back! You’ve been dreaming of a backyard oasis for months...time to make your dream a reality with 94.7 Star FM! We’re gonna give your backyard a huge upgrade! A $3000 mortgage payment from Centum Mortgage Choice corp.
Over $21, 000 in prizes…and it could all be yours! Just enter at sponsor locations and listen to Star FM 8:15 weekday mornings for your chance to call in and qualify. The Extreme Backyard Makeover sponsored by Obermaier's Sausage & Meats, only on Today’s Best Music 94.7 Star FM! The ideal candidate will be self motivated and able to work independently, with minimal supervision. Welding of both aluminum and steel materials with custom fabrication work. Must be able to use a band saw, iron worker, and other shop equipment. Wage to be determined based on experience and qualifications. Excellent benefit package available. Regular hours are Mon-Fri 8am-5pm, with possibility of overtime. The Brandon Home & Leisure Show is underway! Stop by our booth in the Manitoba Room to learn more about our fencing options, installation and sign up for a free quote for your next fencing project! Come Visit Us at the 2015 Brandon Home and Leisure Show! J&M Industries Ltd., proud sponsor of the 2014 Star94.7 FM Extreme Backyard Makeover! You don't have to go on a vacation to escape! Go from boring and bland to a space where you can entertain or relax with friends and family. Enter to win Star FM's Extreme Backyard Makeover for a chance to give your backyard the upgrade it’s been waiting for! Over $15 000 in prizes could be yours! Just enter at sponsor location then check out the Star FM Morning Mess weekdays at 8:15 for your chance to call in and qualify. Make your not-so-attractive-anymore backyard into a restful retreat with The Extreme Backyard Makeover, only on 94.7 Star FM! J&M Industries Ltd. receives COR™ certification! In October of 2013 J&M Industries Ltd. was honoured to receive COR™ certification.